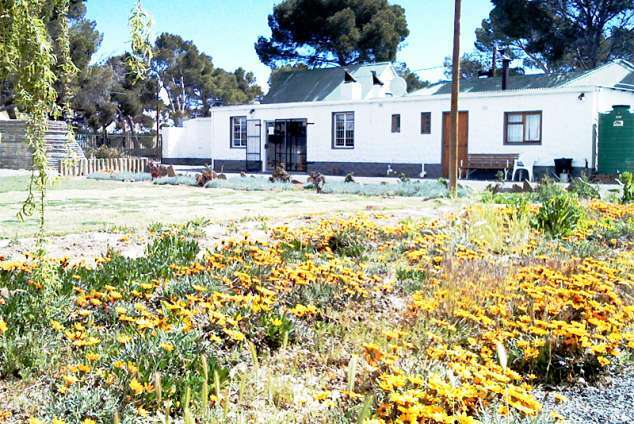 The Jupiter Guesthouse - Sutherland Accommodation. The Jupiter is a business that was established to offer great stays, opportunity to meet people both local and other tourists, enjoy local cuisine and above all enjoy the freedom of relative crime free living. Situated under big old pine trees on the historic main road of Sutherland this early 1900's building was renovated to be an establishment one of a kind. Original 20 inch stone walls, doors, frames and wooden flooring was kept to enhance the feeling of years gone by. Within walking distance you can find the Louw House Museum , residence of the iconic poet NP van Wyk Louw ,the pre Boer -war church, center to the community ,the town center and the outskirts of town. All within 250m. The Jupiter offer 4 en-suite rooms with all the necessities to survive our utter cold nights, Heaters, Down Duvets and electric blankets. With brutally cold nights of -16 degrees and regular snowfall all is necessities. Coffee/tea facilities in rooms. All rooms consist of 1 double and 1 single bed. Communal braai facilities outside and laundry service available. The little restaurant is a big asset to our visitors. This area is available to our guests through the day. At meal times other establishments guests join us for hearty meals or just for some conversation. Enjoy the cozy "kaggel" with a drink or read a book, some poetry maybe. All sporting events can be enjoyed in our small pub with big screen TV. We will assist you with all tours available to the region, star gazing and even out-rides can be arranged to the spectacular Ou Berg pass. 19889 page views since 12 Mar, 2010.